The Act on Processing Personal Data under the Authority of the Danish Data Protection Agency. The Guidelines and the International Code on Market and Social Research of the European Society for Opinion and Marketing Research (ESOMAR). 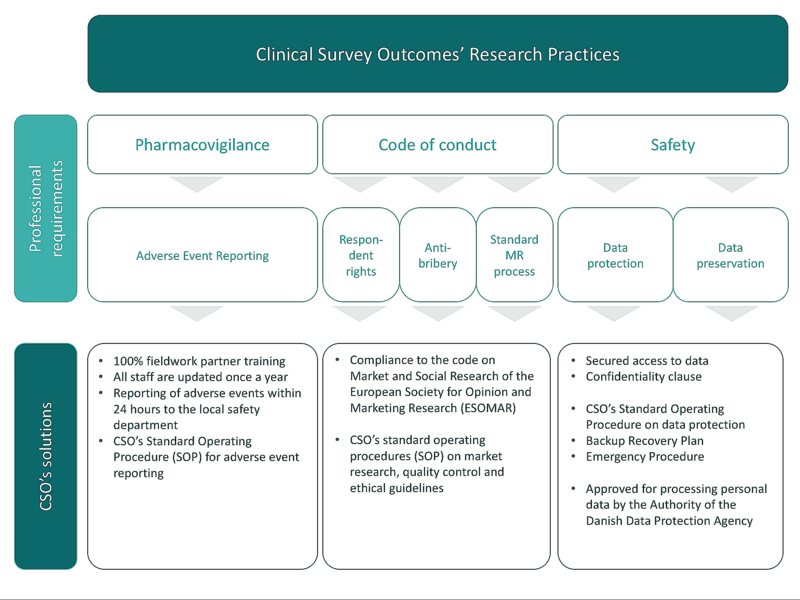 Pharmaceutical Companies stated rules and guidelines for conducting Market Research and reporting of adverse events. CSO has Standard Operating Procedures (SOP) for Collection of Personal Data, Storage of Personal Data, Handling of Personal Data and for Reporting of Adverse Events. CSO is audited annually by the Authority of the Danish Data Protection Agency. Contact CSO to enquire about our compliance policies.